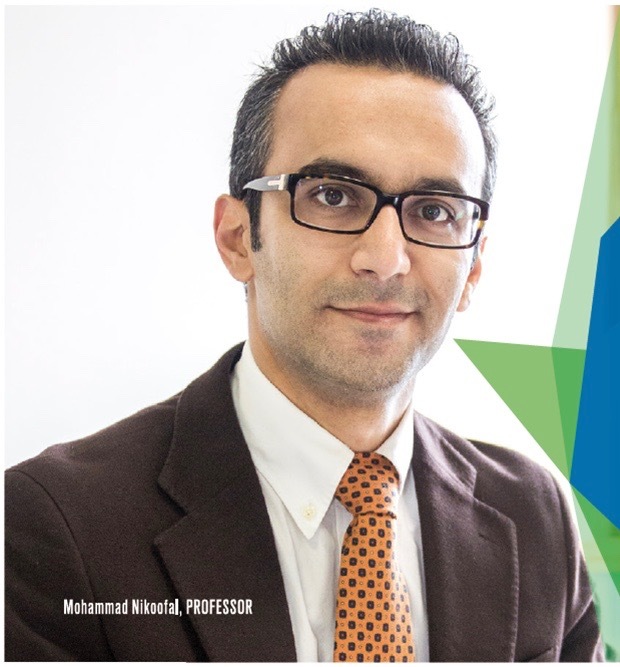 Dr. Mohammad Nikoofal is an Assistant Professor of Operations and Supply Chain Management at the Ted Rogers School of Management, Ryerson University, Toronto, Canada. He was previously assistant professor of Operations Management at Católica Lisbon School of Business & Economics, Lisbon, Portugal. He received his Ph.D. in Operations Management with minor in Economics from McGill University, Desautels Faculty of Management. He also holds a M.Sc. in Industrial Engineering and Operations Research from Tehran Polytechnic, and a B.Sc. in Industrial Engineering from Isfahan University of Technology. His research focuses on the application of operations research techniques, specifically game theory and robust optimization, and economics methodologies, specifically theory of incentives and mechanism design with special focus on information asymmetry, to develop normative recommendations in both private and public sectors. His research in supply chain risk management mainly focuses on designing effective contractual strategies, and exploring their incentive-related problems, in a decentralized supply chain under information asymmetry. His research in public policy aims to help government explores the impact of terrorist’s private information in its defensive resource allocation decisions, and designs incentives to attract private sector for a collaborative security investment in the context of public-private partnership. Public Safety Canada, Policy Development Contribution Program 2017 – 2019, Project: Designing Public Incentives for Private Partnership in Homeland Security, $28,000. Role: Principal Investigator. Ryerson Social Sciences and Humanities Research Council Canada Institutional Grant 2017 – 2018, $9,230. Role: Principal Investigator. Social Sciences and Humanities Research Council (SSHRC) Insight Development Grant. Co-applicant. Title: Models of Public-Private Partnership in Homeland Security. Length: 2016-2018. Total Amount: $60,000. The above graph is based on the abstracts of my research papers.